What another wonderfully busy month ahead! A variety of treats for you all. First up, we are very excited to have just announced a Storm in a Teacup event on the 27th of August at the Hampstead Heath Ladies pond “Her-story, Your-story, Our-story: True Stories on the Heath” a story and song sharing event hosted by Vanessa Wolf from London Dreamtime, please see details below about how to attend and get involved. The first ever Ladyfest Paris is happening this month and our lovely Ladyfest Ten friends are hopping over the channel to support and get involved. VV Collective have work included in the art exhibition and Art Macabre are presenting a drawing salon at the festival. Bon Voyage mes amis! Roll up, Roll up writers and artists one and all, as we have lots of OPEN SUBMISSIONS that you can get involved in! For Books Sake and Pulp Press have launched a competition to find the best female pulp fiction writers. Submit your stories, poetry or artwork about SMOKING to be projected live at Latitude festival as part of Yarn Fest’s Ten Stories about Smoking show and last but not least if you would like to share a true story at the next Storm in a Teacup event at Hampstead Heath please see details about all the open submissions in the section below. 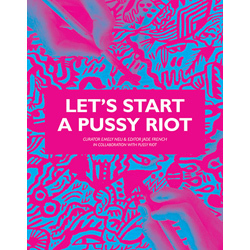 East London Fawcett group has just launched and we are cooking up a fantastic programme of feminist seminars and events. Email: eastlondonfawcett@gmail.com to join the mailing list and get involved. VV Collective have opened up their Members Lounge to female artists. If you would like to be a member please visit their website and download an application form. Latitude Festival 2011 || Verity Flecknell (Storm in a Teacup) performs Johnny Cash – Blues and Kazoos in the Literary Arena as part of YARN: Ten Stories about Smoking showcase. 10.30pm @ Literary Arena, Friday 15th of July. Friday July 15th || SPIT. Music presents; MC Envy, Bellatrix @ The Southbank Centre. As part of the Southbank Centre’s Intelligent Movement festival (in association with Channel 4’s Street Summer), spit. presents a free event showcasing some of the most exciting women on the hip-hop, grime and dub scenes. FREE entry 5pm – 7pm. Friday July 22nd || SEVERIN (live & DJ sets) @ Goonite Club, Buffalo Bar. 9pm -4am. £5.00. Thursday 4th -17th of August || VV Collective presents; Girls on Top Exhibition @ Dead Dolls Club. Private View: 4th August; running for 2 weeks. A new series from VV co-founders Ellie Green and Bex Massey. E9 7LG. 13th & 14th of August || UK Feminista Summer School 2011 @ Birmingham University. A FREE two days of training, inspiration and solidarity where You’ll learn crucial campaigning skills in everything from how to use the media to how to take direct action. This entry was posted in Art, comedy, Events, Feminism, Ladyfest Ten, London Dreamtime, Music, performance art, spokenword, The Girls Are.... Bookmark the permalink.